When you travel to South Africa, make sure to know the latest immigration regulations and get your documents in order in time. Most importantly, families travelling to and from South Africa with minors must show an Unabridged Birth Certificate (naming both parents and in original form or certified copy not older than 6 months). Major changes to the South African immigration rules came in effect in 2014 while further changes regarding travel to South Africa with children have come into effect on 1 June 2015 when special child travel regulations were introduced, read more about this below. Unfortunately, many travellers have been so far and still get denied their flights or must return to home country if they cannot provide the correct child birth certificates or a yellow fever certificate - so make sure to know exactly what is need to bring. Get your documents in order before you travel. Visa, if not from an visa exempt country or if entering South Africa for other than visit purposes) Read more on visa requirements here. Read detailed information to these points below. Make sure to apply for the relevant updated documentation in time to be able to present the necessary documents to the immigration officer at South Africa's border control posts. You must be in possession of a valid passport with at least 2 blank pages when you want to enter/exit South Africa. The passport must be valid for the stay and a minimum of 30 days after the date you leave South Africa. Full valid passport - Temporary passports and renewed children's passports are not allowed! If you are visiting from a non visa-exempt country, you need to present a valid visa upon entry. Visas have to be applied for in your country of residence in person as biometric data such as fingerprints will need to be collected for the relevant visa or permit application. Contact your foreign mission for more information. Find a listing of South Africa's missions abroad here. With the new immigration regulations in place, visitors who have overstayed their last visit after 26 May 2014, will have been undesirable upon exit of the country. Persons intending to travel to South Africa again, might have been blacklisted and thus will be prevented from applying for a renewed South African visa for 12 months to 5 years, depending on the length of the overstay. Should you want to appeal against this decision, you can contact the Department of Home Affairs at overstayappeals@dha.gov.za. Always be in the possession of a valid visa or permit. Waivers for those overstayers who can provide valid reasons for their overstay are known to take several months and repeat offender will be dealth with harshly! In recent years, more than 10 million people annually visited South Africa as overnight tourists, of these travellers about 15% were families with children. All minors, that is children under the age of 18 years, travelling to and from South Africa, must carry a full (unabridged) birth certificate. This document can be carried in form of an original or a certified copy of the birth certificate and must include both parents names. Certified copies, however, must be recent and not older than six months! This applies for all nationalities including South African citizens. If only one parent is registered on the foreign country's national population register, that parent's consent suffices. Parents travelling with children need to provide this document at South Africa's ports of entry/exit. Make sure to apply for an unabridged birth certificate well before your travels. These immigration regulations stipulate also that if a child travels only with one parent, the accompanying parent needs to provide parental or legal consent (in form of an affidavit, a court order or a death certificate) of the other parent. The affidavit is not to be older than 3 months! When children travel within a group, such as during a school tour, the accompanying adult will need to provide a document from the school recognizing the travel purpose. South African birth certificates are available from the offices of the Department of Home Affairs at R75, the application process is said to take around six weeks. South African passport holders in the UK can apply for a South African unabridged birth certificate at South Africa House in London. Processing fees are £7. See the requirements here. Important Note: Be cautious and stick to the rules! Do not rely on travel centres or airlines call center's advice if this is contrary to the official regulations. We are aware that there is a lot of uncertainty in regards of the documentation requirements, but until no further notice from the Department of Home Affairs is published, we highly recommend following the advice given in the official guidelines as per link shown above! The immigration control are in general strictly enforced now and many airlines do not allow children to board without the relevant documentation. A new 10-year multi-entry visa has been created for business travellers from the Brazil, Russia, India and China. This visa allows stays up to 30 days per visit. Additional visa facilitation centres have been opened in India and China to ease the application process for business visitors from these countries. South Africa requires presentation of a yellow fever certificate if travelling from a country in Africa or in South America where yellow fever infections are an occurrence. Read more here. All persons over the age of 1 year, entering South Africa from or via these countries, are requested to present this certificate. Remember also that a Yellow Fever Certificates becomes valid only after ten days of vaccination. It stays valid for ten years. Even if you were in that country only on transit, you will still need to present this certificate, otherwise you will be quarantined or denied entry to South Africa. 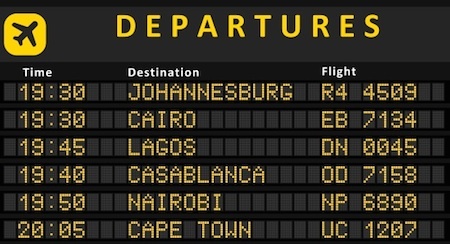 South African Airways advises that if in transit from Dakar (passengers remain in aircraft), there is no need for a Yellow Fever Certificate. Sufficient funds to pay for your day-to-day expenses during your stay might be requested to be shown and a return or onward ticket is mandatory as well. Make sure you have a South African contact address such as hotel address you booked your stay, school's contact if you come for a exchange program handy to prove the legality of your stay in the country. Do you need more information about Immigration and Customs in South Africa? 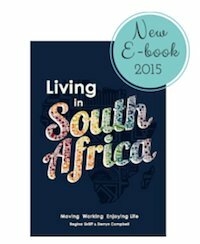 Our 'Living in South Africa' expat guide contains a comprehensive immigration chapter and is a most invaluable resource for international visitors. Image Credits for Travel to South Africa: Images by SATourism, Shutterstock and own images.